Where games and gourmet meet righteously! So, I got a little cocky and probably should have expected that at some point one of these recipes would utterly blow up in my face as a result. The Campfire Stew is the humble maker. I mixed apple cider vinegar, Worcestershire sauce, tomato paste, paprika, and some dried herbs (oregano, cumin, and ground rosemary), and then tossed three chicken thighs in this. While they braised in a 250(F) oven for 2-3 hours, I enjoyed a Hammer revenge flick. I really want to try this stew again as well. I’m thinking venison, shallots, red potato, carrots, and fresh out of the pod peas. Anyone have any other suggestions? Believe me, after this big bowl of humble, I’m open to any tips, and ready to tackle the next dish which will be inspired by next week’s game – Assassin’s Creed II. 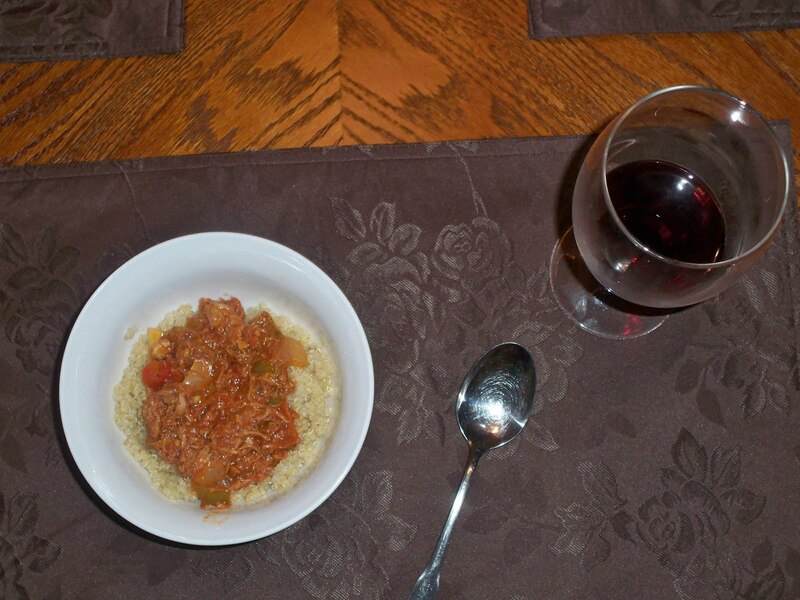 “Campfire Stew” made with chorizo and chicken, served on a bed of quinoa and a side of culprit red wine. I love food and I love games. When I'm not stuffing my face or throwing my controller against the wall, I work as a full-time line chef. I am also trying to launch my own catering company. Otherwise? I act and I write to make sure the hobbies get their due. Thanks for checking me out! This entry was posted in The Pies. Bookmark the permalink. *applauds* Well done, Ms. Marshall! Well done, indeed. I would definitely go with a red meat if using a red wine to flavor. The wine will overpower chicken.Also, some other ideas for thickeners:Corn StarchGumbo file powderOkra (which I would use, being as it is all stew-y and stuff. 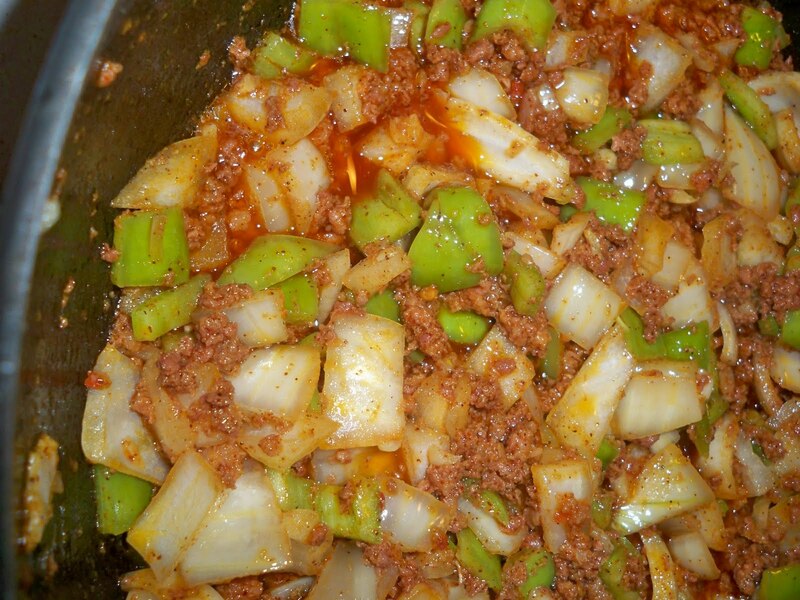 The Cajuns use it to thicken gumbo, when they are not using file (pronounced fee-lay). File is ground from the sassafras tree and can taste like licorice sometimes. )Great work saving it, though. I am sure it was really great. Thanks! 🙂 I'm totally kicking myself now over the file powder. We totally have that in our pantry. Oy, well, next time! Good job. Really helpful to point out where you think you went wrong and what you would do differently. None of us is perfect! 30 Day Writing Challenge – What Do You Want To Write?